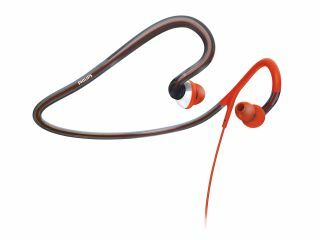 Philips has launched a new range of sports headphones designed to keep you active and stop your ears dying from disease. The new set consists of the in-ear SHQ1000 and the pair of washable options, the ear-clip SHQ3000 and neck-band SHQ4000 (we're assuming something terrible happened to the 2000 series - we may never talk of them). While not the most attractive of monikers, all three have been injected with an anti-bacterial agent so when you sweat and bleed or cry into them (we manage all three on our 1km waddle around Regent's Park) the germs won't fester and give you disease. All three claim to block out unwanted external noise with different cap sizes to fit each ear, and all three are sweat and rain-proof, with the SHQ3000 and the SHQ4000 also waterproof, meaning you can clean them under a tap. And for those of you that like to keep headphones in a pouch because, you know, you're that cool - you'll be set up with these three as all come with such an item. We know, Philips are spoiling you. The SHQ1000 is the cheapest of the three at £19.99, the SHQ3000 will set you back £29.99 and the neck-band SHQ4000 coming in at £39.99. All three are available now, so run down to the shops - you know, in preparation.